DiS is heading to the South of France at the end of June for the 22nd edition of Garorock. 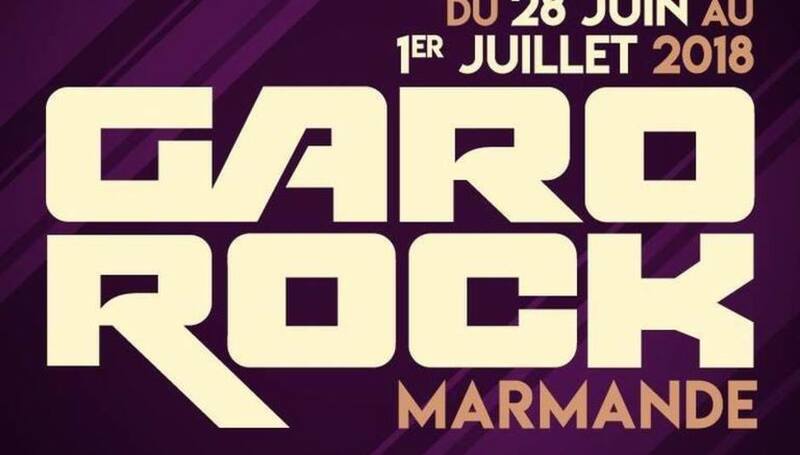 Situated on La Plaine De La Filhole in the city of Marmande, Garorock takes place from Thursday 28 June to Sunday 1 July and features a diverse line-up encompassing all angles of the musical spectrum from electronica and pop to folk and metal. Celebrating 20 years as a band, Black Rebel Motorcycle Club put out their eighth album Wrong Creatures earlier this year and with a back catalogue to die for, what's not to love? This Cardiff four-piece burst onto the scene last year thanks to a split EP with Buzzard and haven't looked back since. Now signed to Heavenly Recordings, the band's first LP 1, 2, Kung Fu came out earlier this month and is one of 2018's finest debuts. An actor, singer, and songwriter of some repute. Charlotte Gainsbourg's live performances have been sparse in recent years so this opportunity to catch her at one of mainland Europe's most idyllic festival locations is not to be missed. They're everywhere this year and with good reason. If you haven't yet seen Brisbane's finest exponents of indie/rave/dance/pop crossover now's your chance. Just remember to get down! With three critically acclaimed albums under their belt and a live show that gets better with every subsequent tour, Django Django are a finely tuned, well-oiled machine right now that shows no signs of abating. They're back with at least one new member and a bunch of new songs. Love them or loathe them, there's never a dull moment when the Fat Whites are in town as Marmande is about to find out. Fresh from his showstopping performance at Download the other week, Marilyn Manson is on top of his game once more and his late-night slot on Friday looks set to be one of the talking points of the entire weekend. Some bands slip effortlessly into a formula whereas others continue to confound expectations. MGMT fall into the latter category and while some would argue they've committed commercial suicide, their most recent long player Little Dark Age is their finest since 2007's debut Oracular Spectacular. DiS first set eyes on this Parisian trio at last year's Rock En Seine festival where it's fair to say they stood out immeasurably above most of their peers. Since then, they've released an album Hit Sale and it's everything we'd expect it to be from this genre-twisting outfit. Having returned earlier this year with their fourth album Combat Sports, it's good to see The Vaccines doing what they do best; proving why they're regarded as one of the finest live bands to emerge from these shores this past decade. Now expanded to a five-piece, expect a hit-packed set and more. For more information on Garorock including the full schedule, running orders, and where to purchase tickets, please visit the festival's official website.